BANGALORE: For years, Yahoo had been building up its Bangalore operations as one of its global technology centerpieces. Now, in a radical restructuring, the internet company is pulling back work to its Sunnyvale, California, headquarters, and laying off large numbers of its employees in Bangalore. Yahoo declined to talk about the numbers being retrenched, but sources in the company and others close to the company said some 300 out of the 800-odd developers were being asked to go. Some have been asked to relocate to Sunnyvale. Affected employees started getting their intimations on Tuesday. The laid-off employees have been offered a six-month severance package. Those asked to relocate to the US but unwilling to do so have been offered a 12-month severance package, sources in the company said. 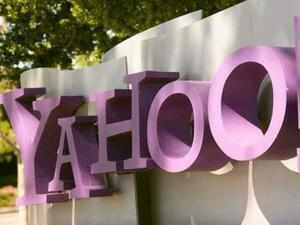 There was much speculation on Tuesday that the entire Yahoo India R&D operation was being shut down. That may be an exaggeration. Yahoo India issued the following statement: "As we ensure that Yahoo is on a path of sustainable growth, we're looking at ways to achieve greater efficiency, collaboration and innovation across our business. To this effect, we're making some changes to the way we operate in Bangalore leading to consolidation of certain teams into fewer offices. Yahoo will continue to have a presence in India and Bangalore remains an important office." Early last year, Yahoo had over 2,000 of its then 11,500 employees in India. Since then, various pieces of work have been pulled back to the US, and the India numbers have consequently been dropping. Yahoo no longer discloses its India headcount, but some believe it is down to 1,500 or less. This includes engineering staff, editorial content developers and sales and support staff. Yahoo's advertising platform team was one of the largest teams here that was scaled down and eventually moved back to the US. In the latest move, some of the other core engineering work is also being moved back to the US. Sources said that Yahoo had developed core engineering capabilities for some of its key properties like Yahoo TV, Yahoo Movies, and Yahoo Celebrity. The $5-billion Yahoo has been struggling to improve its advertising revenue, which makes up a little less than half of its overall income. Other companies like Google, Microsoft and Facebook have done a much better job of it, and research firm eMarketer expects that Microsoft will overtake Yahoo in global digital ad share in 2014. A succession of CEOs - the latest being Marissa Mayer who came from Google two years ago - has failed to stem Yahoo's slide. A number of Indian technology startups lost no time in wooing Yahoo engineers being laid off. Several of them went on social media with job pitches. Deepinder Goyal, co-founder of restaurant search engine Zomato, had this tweet: "Yeah Who? Zomato is hiring across all tech positions." Rishi Khiani, CEO of innovation sandbox Ant Farm, tweeted, "Hiring developers for AntFarm.in, we have over 100 open positions. So please pass this on to any Dev's over at Yahoo that just got slipped." Ankur Agarwal, co-founder of PriceBaba, had this blog post: "Dear Engineer, I am sad to see that Yahoo is leaving so many talented engineers in India (from what I hear) in a bid to consolidate its development efforts. Like any other growing tech startup, my instincts reacted in the same way as it did for a lot of my friends on Twitter. Can we get some good engineers to join PriceBaba?" Vijay Rayapati p, CEO at Minjar Cloud Solutions, tweeted, "Impacted by @yahoo India layoff? @minjarcloud is hiring engineers for product engg roles. Drop a note to careers at http://minjar.com." Others suggested a different opportunity for Yahoo engineers. Maruti Borker, co-founder of Vauntz.com and hurricaneviz.com, tweeted: "Hope some startups come out of the Yahoo! India layoff :P 6-10 months salary is a nice seed fund." The short message for Yahoo engineers: There are plenty of jobs available within Indian startups. Many are starved of talent.